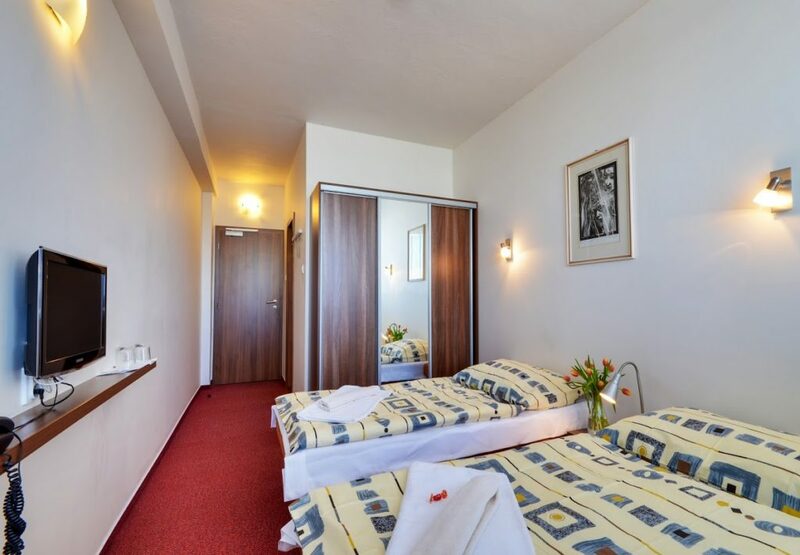 We boast with 26 twin rooms in our hotel. The rooms are 20m2 large. 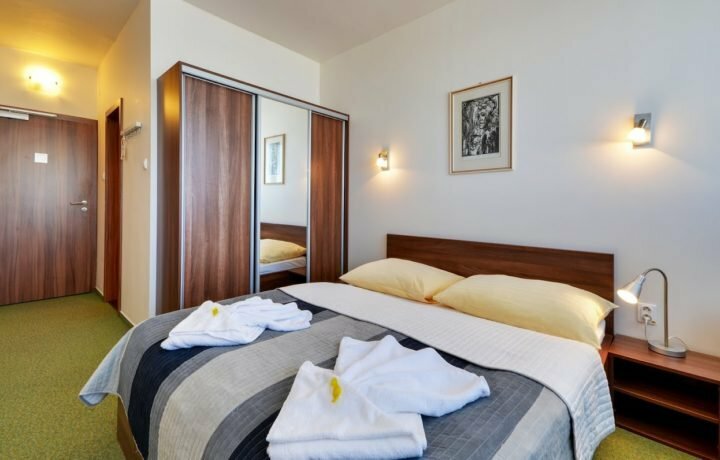 They are furnished with double bed and two single beds. 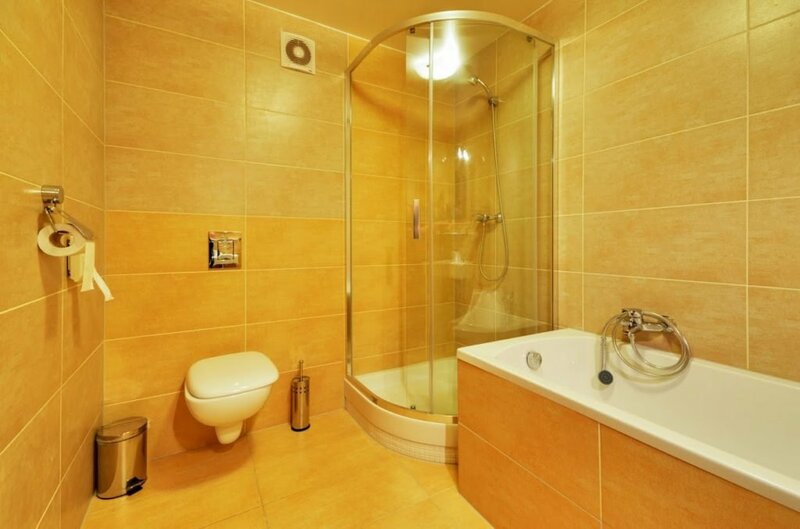 Bathroom and shower cabinet, spacious wardrobe for clothes, desk, sofa and LCD TV with satelite reception. Wi-fi, toiletries, wake up call and breakfast are included in the price. The guests may pre-pay halfboard or fullboard. Each guest may freely use parking lot, kids´corner or billiard. You may bring your pet to our hotel.